Before we start with the design work of the PCB in Kicad, let’s have a look at the original circuit. The circuit, implemented on a breadboard, comes from one of my Arduino step-by-step lectures. 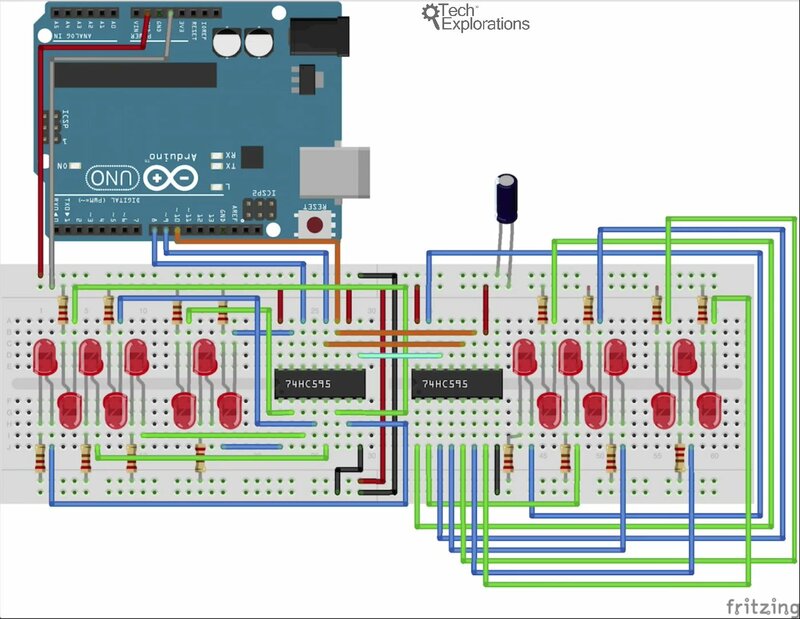 If you haven’t completed that lecture from Arduino step-by-step, again, don’t worry about it. You’ll be perfectly able to follow along with what we’re doing here. The circuit, on a breadboard. We will design a PCB for it. As you can see in this circuit, there are 16 LEDs in total on the breadboard. I would like the PCB to provide pads for common 0805 surface mounted LEDs supported by similarly sized surface mounted resistors. The circuit will also contain two surface mounted 595 shift register integrated circuits, and a surface mounted electrolytic capacitor. The only through-hole component on the PCB for this project will be the 5 pin connector. 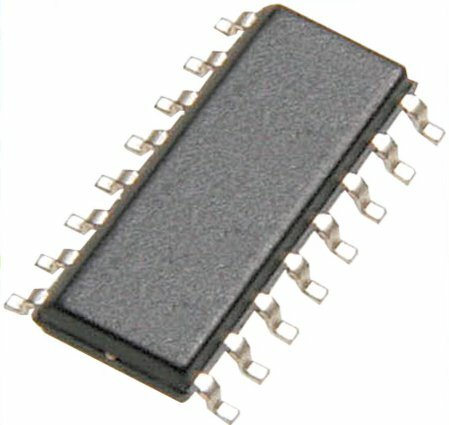 The two ICs will be contained in an SMD package like this. 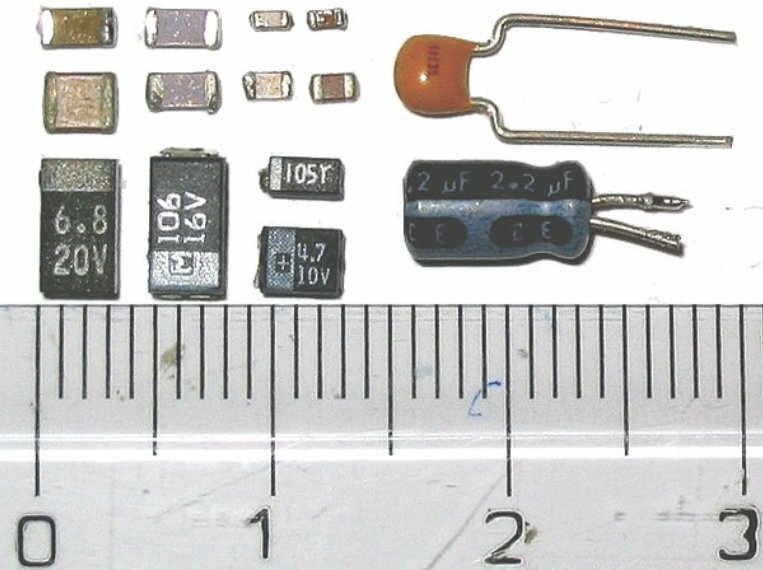 Examples of capacitors. The left of the image shows several surface mounted capacitors. Let’s begin with the work in Kicad!